Oh, we must be in the warmer months. 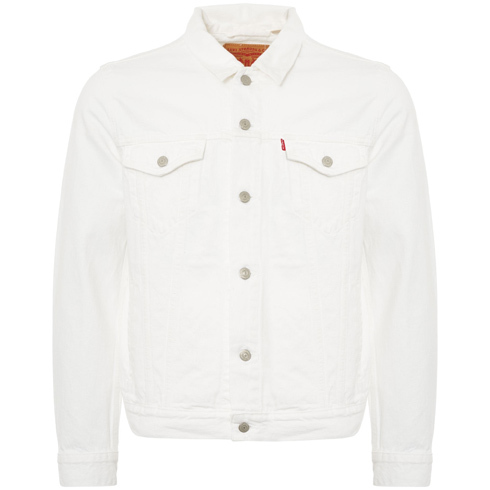 The Levi’s trucker jacket in white has been spotted on the racks. Well, that should be ‘rack’ as I’ve only seen in this particular version of the 1960s classic at Stuarts of London. But they have plenty of sizes and I would hope, plenty of stock too. Anyway, based on the 1962 design, this has a standard fit and a hem that is just below the waist. 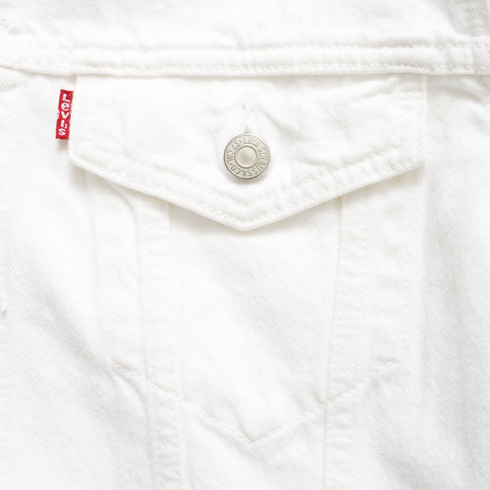 Also present are welt hand pockets, two chest pockets, side hem adjusters and a point collar. 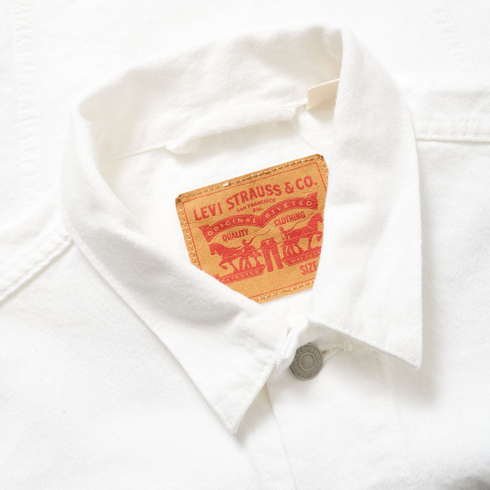 Levi’s branding of course and that white finish, which is probably the big selling point here. 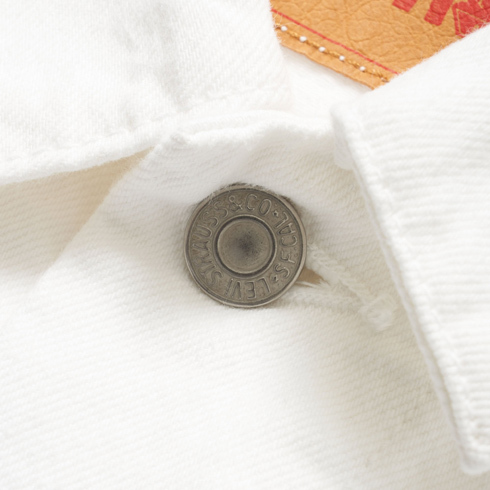 It might not be the ideal item for right now, but it definitely is getting warmer and summer isn’t too far off, so perhaps worth getting one now before they sell out. If you do want one, the price is £85.